Some parents look toward summer with happy anticipation, building a packed schedule of family activities and outdoor fun. Others wonder how on earth they’re going to keep their kids occupied over the long slow weeks ahead. No matter which camp you’re in–or if you’re somewhere in between and hope to balance times of activity and relaxation–there are ideas and attitudes that can make the summertime happily productive. For everyone! Make plans with your kids. Ask them how they’d like to spend their summer. (This gets them thinking about the summer months, and helps them take some ownership over how they spend their time.) Do what you can, within reason, to accommodate at least a few of their suggestions. 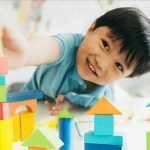 Focus on imagination and free unstructured play. Especially for kids whose school year schedule is packed with serious stuff, summer should nurture a sense of freedom and enable them to exercise their creativity. 3. Leave time for boredom. Avoid filling your child’s every waking minute with cultural, athletic, or intellectual enrichment. Summer is a great time for kids to experience enough boredom that they learn how to convert listless feelings of nothing-to-do into opportunities to try different things and to discover what they’re interested in. 5. Turn it off! Limit your children’s time with technology. They need an electronics-free environment to unwind, explore new ideas, take pleasure in unstructured time, hang out with friends and family, and relax. Although we’ve organized the following suggestions roughly by age, with a bit of modification and creative thinking many of these activities can work for kids of different ages and with varying interests. Imaginative play can happen anywhere—building sandcastles, splashing in pools or at water-tables, or running through sprinklers or homemade mazes on the grass. Blow, chase, and catch bubbles. Find and decorate a secret hideout in a corner of the house, backyard, or neighborhood park. Help plant and maintain a garden. Make collections – of stones, insects, flowers, leaves, or other items of interest. Create decorations or activities for the next family get-together. Sort through books and toys and donate unused items. Fill a jar with activity ideas written on pieces of paper, ready to provide inspiration as needed. Visit a favourite corner of a park at different times of the day, in different kinds of weather, on different days of the week. Create an observations journal, recording what you see, hear, smell, and feel. Set up activity boxes for craft materials, art supplies, drama productions, puppet shows, or other areas of interest. Pursue a new hobby such as photography, chess, or geology. Find an expert to help you, or find how-to guides online and at libraries. Read a book. Write a book. Review a book and submit your review to a magazine. Start a newsletter. Invite others to join in its creation, publication and distribution. Go camping. Check out the constellations in the night sky. Sing songs and tell stories around a campfire with family members and friends. Plan a trip, real or virtual. It could be to a distant place, or to somewhere closer—a beach, a walking trail, or a farm. Using online resources or a local expert, embark on learning something that interests you: how to draw cartoons, build something (perhaps a dog house), or become a whiz at baking or card tricks. Volunteer at a food bank, a seniors home, or a summer day camp for kids in your neighbourhood. Collaborate with family members on big household projects that no one has time for in their usual busy schedules Build a bookshelf, reorganize the kitchen, or straighten up the garage. By making some plans with your kids, but also leaving time free for imagination and boredom, you can increase the chances of this being a good summer, one you look back on with pleasure through the winter. Try to establish a healthy balance of activities, remembering to set technology aside sometimes and to participate in outdoor activities. Seeing Beyond the Distraction of IQHow do you know that your young one’s childhood is going to be a happy one?